You must remember best; a breast is just a breast; the fine's a nasty fine | Jon Katz, P.C. 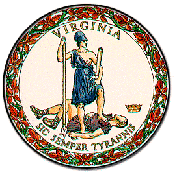 If Virginia’s Virtus can bare a breast on the state seal, why cannot Janet Jackson do the same, penalty-free, during the Super Bowl halftime? See more here. Friends, opponents, and Obama, lend me some justice. On the beaches of France, Italy and beyond, countless women exercise the same right that men have to bare their breasts. If women have to cover their breasts in public, then men should have the same obligation. Why does such an obsession remain among so many Americans to suppress breasts? Perhaps there would be fewer people having sexual hangups and committing sexual assault if America’s rampant official prudery were thrown out the window, including removal of anti-breast laws, obscenity laws, anti-prostitution laws, and laws suffocating the ability of strip clubs and adult video stores to operate. Barack Obama did not seem to speak much, if at all, about First Amendment protection during the campaign. However, he did talk repeatedly about change. Mr. Obama, it is time to change the decades long tradition of FCCensorship and prudery. Alternatively, if women were polled about the laws mandating covering their breasts in public and fining broadcasters for their exposure during times that children are awake, how would they vote? Barack Obama’s transition team is reviewing which executive orders from the Bush Administration (and from administrations previous to that, too?) to scrap. While the transition team is at it, time is beyond ripe for Obama to completely overhaul FCC censorship and to push to change statutes that enable such censorship in the first place. Now also is the time for Obama’s team to push to eliminate the obscenity laws while they are at it. ADDENDUM: Thanks to SCOTUS for blogging on the FCC’s cert. petition in the Janet Jackson fine case. Thanks to Herman Hupfeld for inspiring the title of today’s blog entry .